There’s a special treat coming to all you readers this Friday. But in the meantime we’ve got a great video to show you. 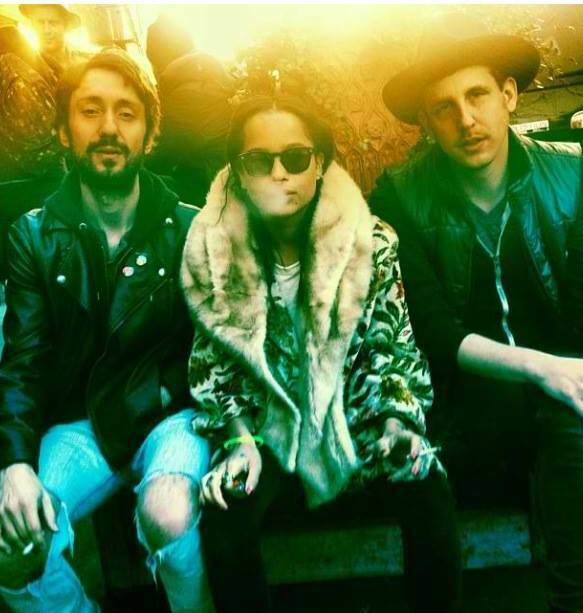 LOLAWOLF, the Los Angeles group composed of Zoë Kravitz, Jimmy Giannopoulos and James Levy are a super sly synth-pop group. The group released their self-titled EP, which included the sensual song, “Drive.” A few days ago, the group dropped a video for the song. Adding a dark atmosphere to the already haunting electronic song, the video features singer Kravitz lying down surrounded by flashing lights and foggy images of cars. The ending comes out of nowhere, but overall the video is the perfect match for the single. Check it out below. I have to tell you a story. I know I’ve shared this story many times and I’ll probably share it again, but it was such a surreal experience that it has to be told (again). About a year ago, I went to a Lord Huron concert. Arriving twenty minutes late and fearing that I missed the main act (as the tickets stated he went on first) I slumped into the crowd as this band Champs began to set up on stage. My initial disappointment melted away as soon as they began to play. 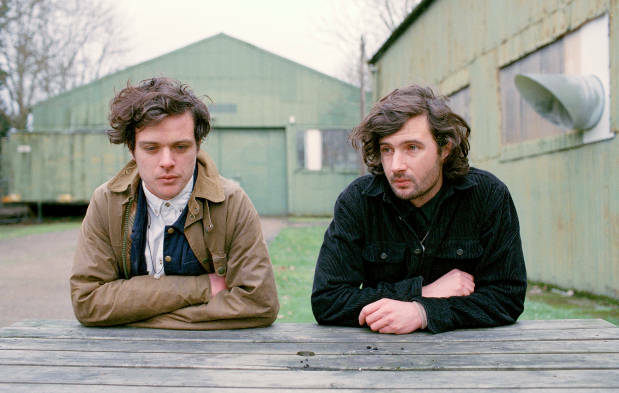 Gentle blue light surrounded shown onto the small band as they crooned in a beautiful mix of ancient folk harmonies and indie rock. Every song stunned me and I was literally breathless as they performed “Too Bright To Shine” and I was almost sad when they left so that the band I came to see could get on stage. Now a year has passed and the songs I heard on that wonderful night are finally finally available as the incredible Down Like Gold LP. “Pretty Much (Since Last November)” sounds like an old folk ballad turned modern love song. “My Spirit is Broken” is a hard hitting jam which demonstrates how diverse and dramatic this band can get. Although a bit lo-fi, From the breathtaking beginning to the heart-wrenching closer, “White Satellite,” the album approaches rock from an angle you’ve never heard, something both young and old, refreshing yet familiar. On the heels of the new album, Champs have released a new music video for “St. Peter’s” the one single out at the time of the concert, which satiated my thirst for more over this past year. The jangling folk-rock tune features a snowy background and a man on the run, perhaps from himself. There’s a little twist in the video, but I’ll leave it to you to find out what it is. Check out the video below and give the album a listen, it’s more then worth it. I know it has been a while folks and I apologize. It’s been a slow couple of weeks looking for music that I felt I truly wanted to post. But now I’ve found something to really perk up those ears. Mirah (aka Mirah Yom Tov Zeitlyn) has been around for a while now, but she has not released an album since 2009’s (a)spera. It appears the time away from recording was well spent, as her new album seems geared to be one of the best of the summer. 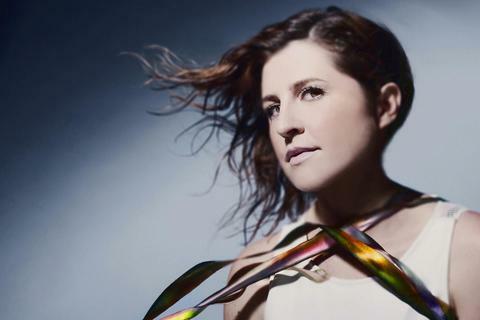 Her first single, “Oxen Hope” proved to be a powerful shout back onto the scene and the second single, “Radiomind” gives us another juicy glimpse into this new album. The new song serves as the closer for her upcoming fifth studio album, Changing Light, a breakup album years in the making. There could not be a more beautiful and relatable way to end this album. We’ve all had that feeling of losing something or someone and the solace that music can bring to heartache. A somber melody, featuring mostly Mirah and sullen drums seems to soak into this idea, finding comfort in music when nothing else seems to satisfy. Like a peaceful sunset concluding a hot and vicious day, “Radiomind” brings a fulfilling end to a breakup; a terrible time turned into a soft memory. Check it out below and look for the album May 31st.